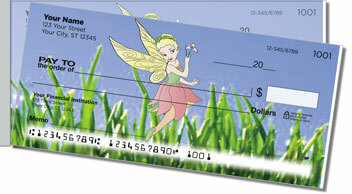 Our Pretty Pixie Side Tear Checks are the perfect choice when you know that magic abounds! With a grassy field for a playground and a red-capped mushroom for a throne, the fabulous fairies pictured here sure are an adorable foursome! They make it so easy to believe! 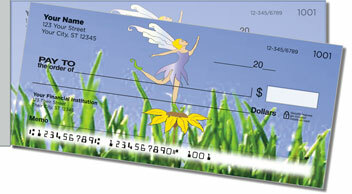 But the best thing about our Pretty Pixie Side Tear Checks is how easily they separate from the pad. 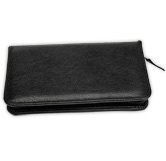 They feature a short-side perforation that gives you superior leverage for a trouble-free tear. 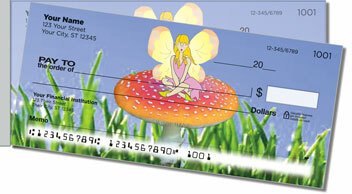 No more ripped and ruined checks is what you call pure pixie perfection! 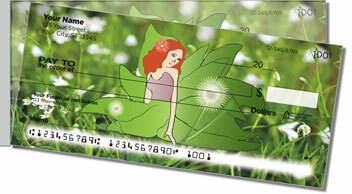 Hurry -- order your very own Pretty Pixie Side Tear Checks and matching address labels today!